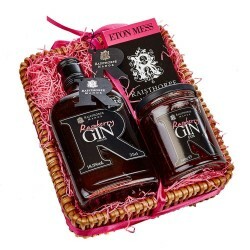 An award-winning range of gins and liqueurs, natural tonic waters and beautiful gift sets. Raisthorpe Manor Fine Foods first began as an accompaniment to Raisthorpe Flyers, providing homemade Raspberry Gin Liqueur made to an old family recipe for guests at elevenses. The drink became very popular and so in 2008 the company was founded, creating homemade gins and liqueurs out of the farmhouse kitchen. 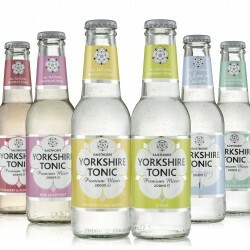 Since then, they have expanded their range to include premium Yorkshire tonic waters and a selection of gift sets and hampers. Raisthorpe Manor Fine Foods are proud to maintain their country heritage, and so use traditional methods to create their delicious products and use only the finest ingredients, which are locally sourced where possible. Over the years, Raisthorpe Manor Fine Foods have received numerous prestigious Great Taste Awards from the Guild of Fine Food for their range, and were awarded 'Best New Product' by Deliciouslyorkshire for their Sloe Port.